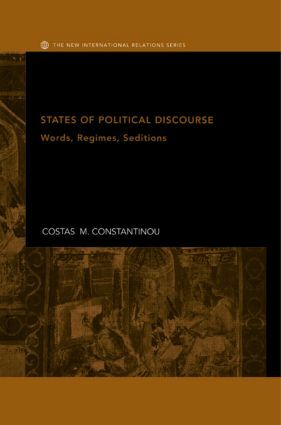 'Constantinou makes some serious claims and unsettling challenges to IR and politics.' - Dr Garen Karapetyan, Independent Scholar. Costas M. Constantinou is senior lecturer in international relations at Keele University, UK. His research interests include global politics and culture, diplomacy, and the history of social and political thought. Dr Constantinou is also the author of On the Way to Diplomacy.